Unique location for this 45-m² one room apartment, of which 15- m² is a terrace leading to the sea. "This outdoor room," allows you to be immersed in the nice atmosphere of the South of France. Two beautiful wrought-iron sun loungers wait for you to sunbathe, sheltered from view, or rest in the shade of the awning. A wrought-iron table and its four chairs allow you to eat outside, all while being at home! Flooded with light, the living room, with refined decoration, offers you a peaceful ambiance and a total change of scenery. This nice place is equipped with a comfortable wall bed with a 160-cm mattress, and a 135-cm sofa-bed. You will find all the comforts due to a carefully designed layout. Air conditioning is provided for the hot periods. A small open-plan kitchen, effective and complete, opens onto the living room, but is separated by a wrought-iron Provence style table. The shower room is equipped with an Italian shower offering all mods cons. Just 5 minutes away from the beach, close to shops and the historic city, you will have the option to spend your holiday without the need of the car! You will be able to go, on foot, to the charming and famous covered market in the historic centre of Antibes, where you will find fresh local produce, local artists and local producers (olive oil, tapenade, and much more). With your comfort in mind and your everyday life, the large traditional retailers are also close to the apartment. The beach is maintained and very pleasant and equipped with shower to rinse yourself after your swim! You will also find a restaurant, on the water, and a refreshment area with fresh drinks and sandwiches. You can visit the Picasso museum located in a beautiful construction, in the old town. The wonderful region is also abundant with small typical and preserved villages. Almost all the year in Paris for my work, I love to come recharge the batteries in the South of France, where I am sure to have a sunny day and hot climate! Hyggelig studio lejlighed med fantastisk beliggenhed. Selvom det er en studio lejlighed, så er der rigtig god plads inde og ude har man desuden en stor terrase, med en super flot udsigt. Man skal dog være parat til, at acceptere en del bilstøj fra den trafikeret gade som ejendommen ligger på. Men omvendt er der jo hele tiden noget at kigge på. Antibes er en rigtig hyggelig by, med masser af meget gode restauranter og butikker. Samtidig ligger den i perfekt afstand til storby besøg i Nice, Cannes og Monarco og mange andre gode muligheder i det flotte "bagland" Kan helt klart anbefales. Studio conforme aux photos présentées excepté celle concernant le square. Vue magnifique entachée par le chantier en cours sur le square. A déconseiller aux personnes qui recherchent le calme, car circulation infernale. Il n'y a pas de photo du square dans l'annonce, c'est simplement une photo de la vieille ville au loin que l'on voit en marchant le long de la promenade à proximité du fort. La vue est effectivement magnifique et c'est ce qui rend l'endroit magique. Si l'on recherche le calme il faut s'éloigner de la mer et renoncer à cette vue car la route longe toute la côte. Il faut également prendre en compte le fait qu'Antibes est une ville. Le quartier n'a cependant pas de vie nocturne ce qui fait que les nuits sont tranquilles. Vue magnifique dès l'entrée du studio. On vit sur la terrasse autant que dans le studio qui comprend tout le confort. En plein centre d'Antibes, hyper pratique pour se déplacer, tout est à proximité. Relation très courtoise avec la propriétaire. Die Lage sist zwar ganz praktisch, gleich um die Ecke gibt es einen kleinen proxi Supermarkt, der Strand ist auch fußläufig, aber einen Parkplatz findet man meistens vergebens. Dazu liegt die Wohnung direkt an der Hauptverkehrsachse nach Antibes, an einer Ampel - es war wirklich schrecklich laut, so dass wir manchmal regelrecht aus der Wohnung geflohen sind. Wir sind von Ihrem Gespürten betrübt aber di studio ist in die centrum. Dazu während Ihres Aufenthaltes hat die Stadtverwaltung Arbeiten von Müllhalde ausgeführt. Das erkläre auch den Lärm und den Staub in den Orten. 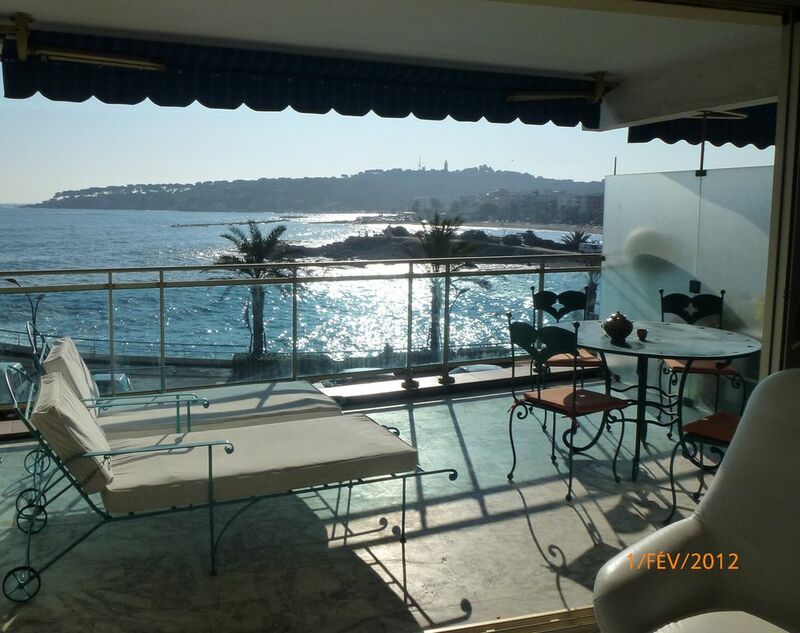 Très beau séjour à Antibes, studio super avec une vue magnifique, propriétaire très gentille, à recommander !! Close to sea: 0.02 km away, located in the very sought after district of Ilette. Golf: golf courses close by.